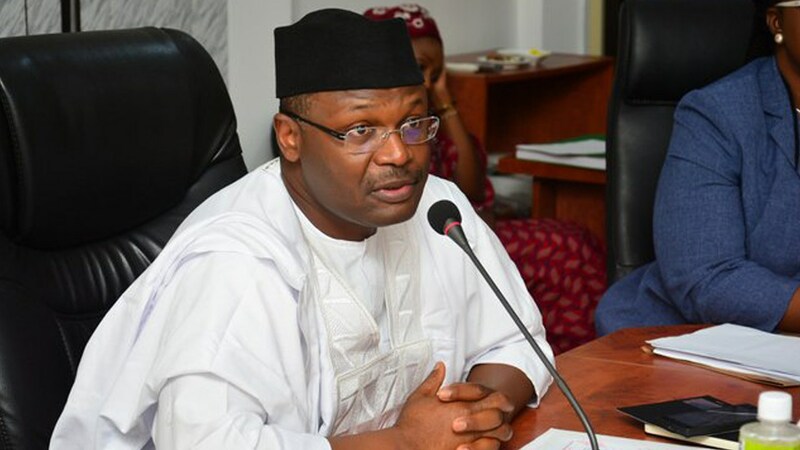 The Independent National Electoral Commission (INEC) has begun collation of the presidential results in the just concluded presidential election held across the country, last Saturday. The exercise began at the state collation centre, INEC headquarters in Abakaliki, yesterday. INEC Returning Officer (RO) for Afikpo South Local Government Area, Dr Ngele Okeke, who announced the result, said that the All Progressives Congress (APC) secured 6,391 votes while the People’s Democratic Party (PDP) scored 12,181 votes in the presidential election. He said 72,343 voters were registered in the local government while 27,792 were accredited to vote. Okeke said 20,276 voters participated in the presidential election in the local government area, adding that 19,735 valid votes were recorded with 541 rejected ballots. He said that the result from Ameri Ward was cancelled; due to non-compliance with Smart Card Reader. The results from the two areas were announced by collation officers from the two local government areas at the state collation centre of the Independent National Electoral Commission (INEC) headquarters. Chief Eze Nwachukwu, state party agent of the APC, who made this known, in Abakaliki, yesterday, alleged widespread irregularities in the results. He said the party in the state would contest the outcome of polls in the two areas. The Commission also announced the result of the presidential election from Ivo and Ohaozara local government areas. In Ivo, PDP won with 12,471 votes while APC got 1,945, in a result announced by the collation officer of the local government area, Dr. Godwin Okonkwo. In Ohaozara Local Government Area, Dr. Robert Obiyo, INEC collation officer for Ohaozara, announced PDP as winner of the presidential poll in the area, having polled 33,651 votes while APC had 2,058 votes. The News Agency of Nigeria reported that more results are being awaited from the remaining seven local government areas.